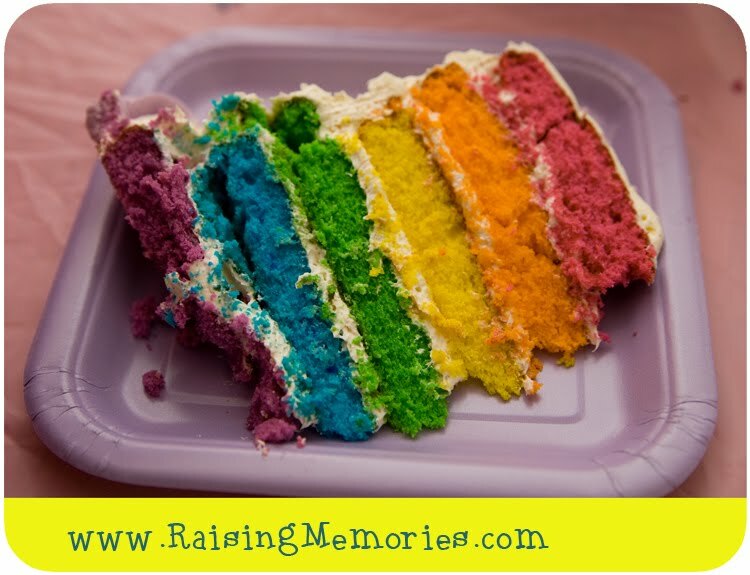 We've all seen it floating around blogland, haven't we?- the infamous rainbow cake that Kaitlin from Whisk Kid created and blogged about, then shared on the Martha Stewart show! 1. 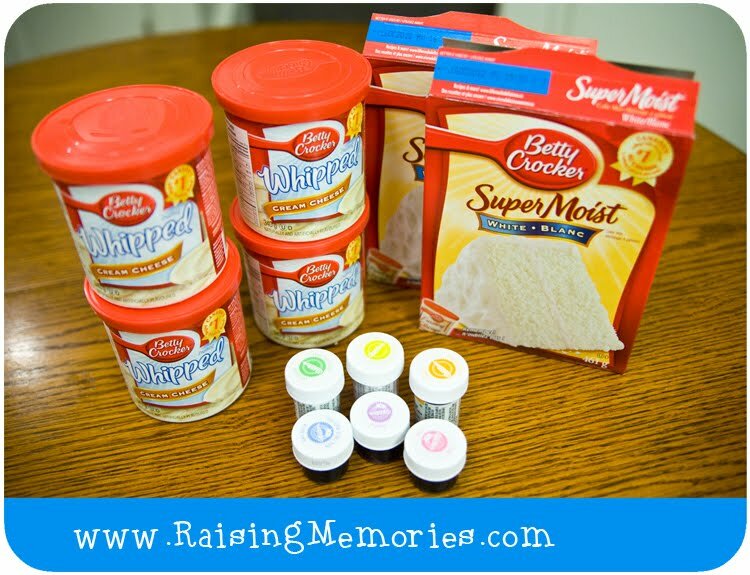 Start by making the cake mixes as directed on the box (use WHITE cake mix- not yellow, and only egg whites or the colours of the cake won't turn out as well). 2. 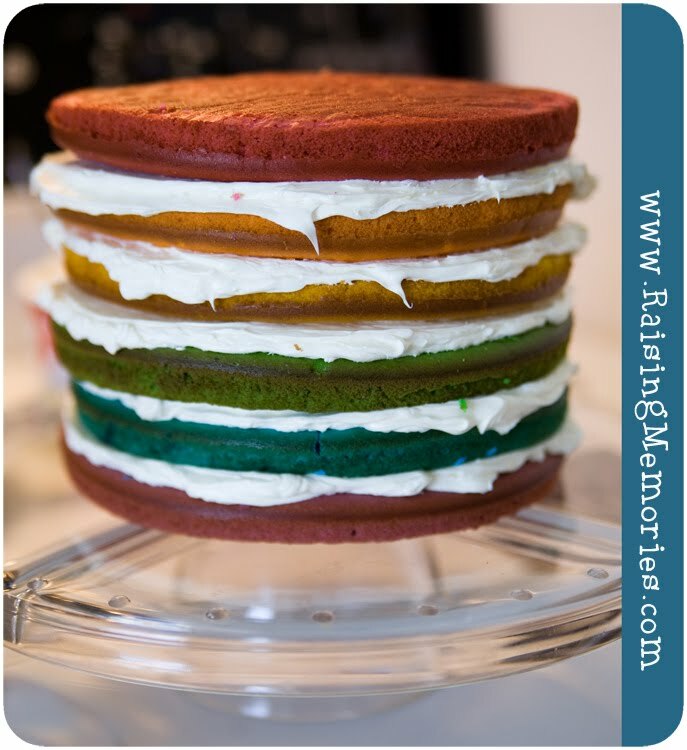 Divide the batter into 6 bowls & add food colouring in your desired colours. 3. Bake in round, lined cake pans (watch carefully since they are smaller than the mix expects, and will be finished sooner). Isn't it pretty? :) I was so happy with the way it turned out! 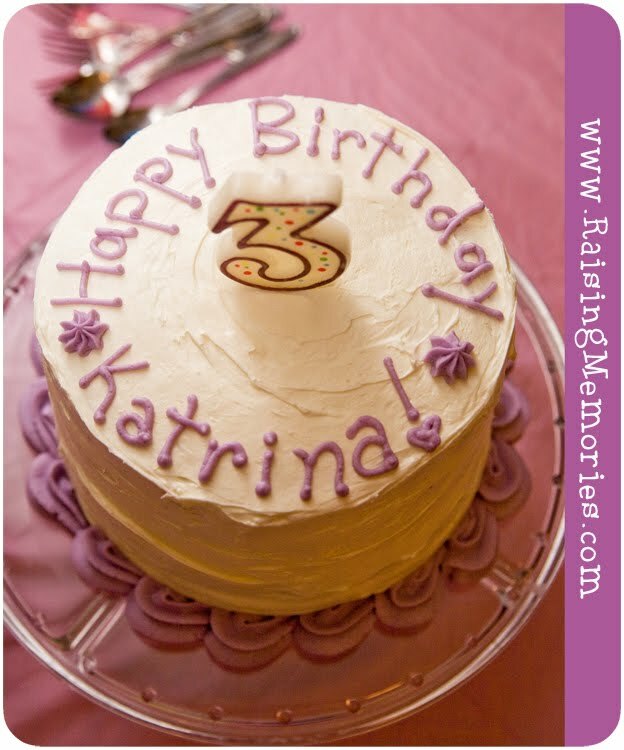 Someday I'd love to make Kaitlin's deluxe version, but for this occasion, the store-bought mixes & frostings did the trick! 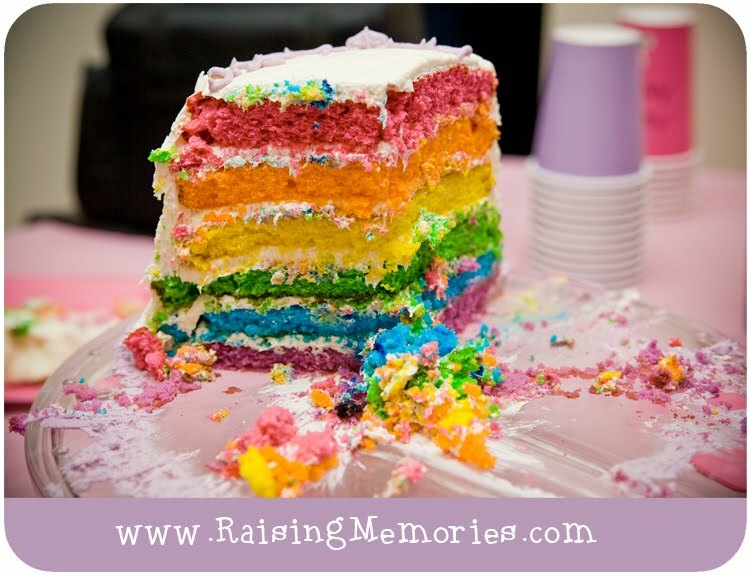 I made Whisk Kid's rainbow cake for Jessie's 5th birthday! It was really fun to make and turned out stunning, but I will admit my family didn't love the Swiss Meringue Buttercream, especially the kids. So fun! I love all the rainbow colors! Oh, and a Happy Birthday to you! (yesterday) Hope you had a great birthday!!!! How pretty!! I am visiting via ABC & 123 - so glad I've found this!! How much of the food coloring did you use? I tried this, once, and my colors were so dull...=( Yours is so pretty! 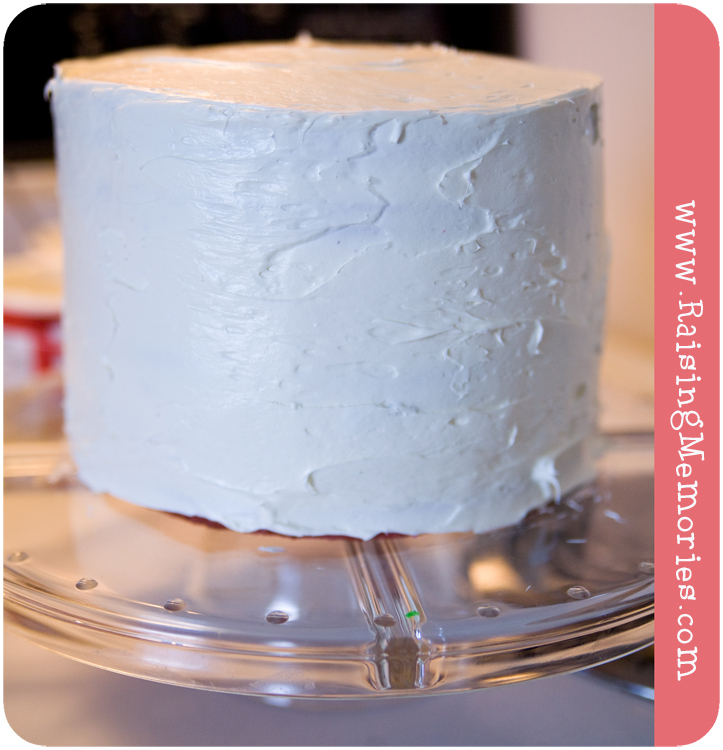 I LOVE easy beautiful cake ideas!!! I will try this!! Would you mind linking this up on my blog PLEASE?? That looks great! Thanks for sharing it with Six Sister's Stuff Link Party. We hope to see you back next Saturday! 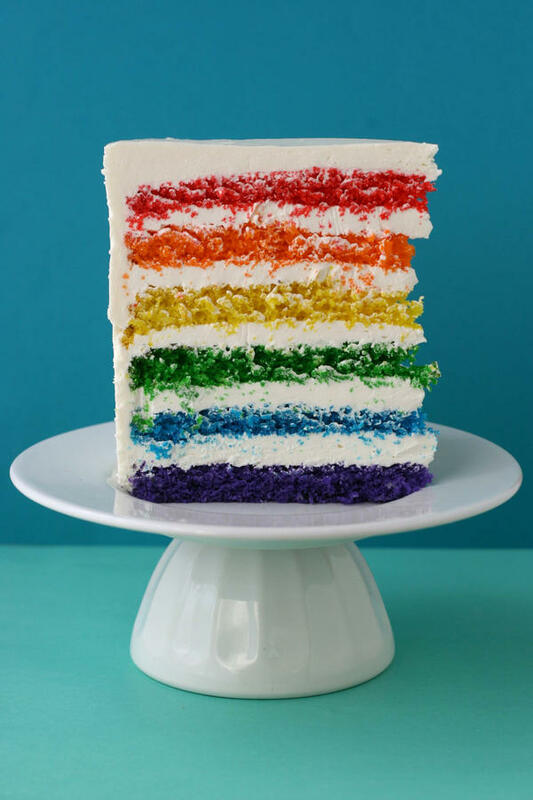 I just made a cake like this and used lemon cake mix. I was a little worried how the yellow colored cake mix would affect the colors, but it turned out great. I did use food color from a professional cooking supply store, but just letting you know it can work. Cool! THat's good to know- thanks for letting me know! 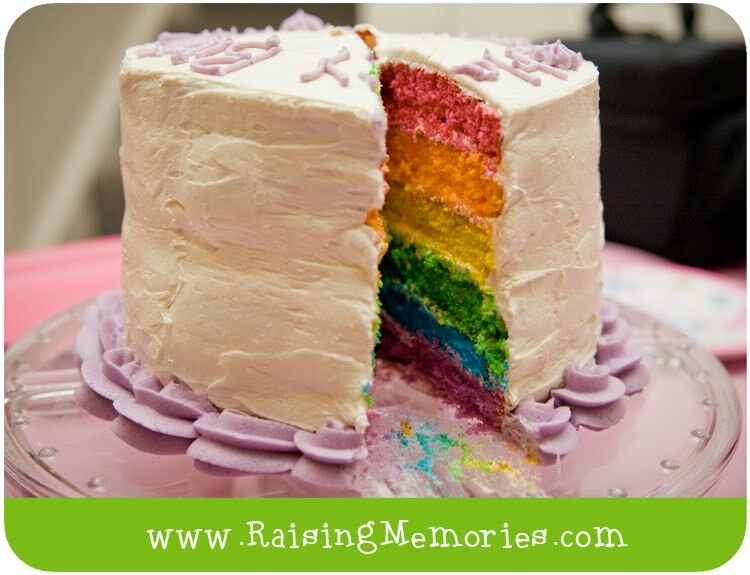 I am going to make this tomorrow for my daughter's bday this weekend! How long does it take for the cakes to defrost if they are left in freezer over night? Do you know? Thanks for the recipe! It has been over a year now since I made the cake & I haven't done it since! I can't say I remember for sure! I would suggest assembling the cake a couple of hours before you want to eat it (or earlier), but I'm not totally sure! This is the prettiest cake Ive ever seen! My son would flip if I made this for him. Thank you for sharing the recipe. This is so pretty and the kids would really love this one for a birthday party. I think I'll do this cake for my daughter! This is a beautiful cake,bet it was delicious !